This may look a little fancy but it’s actually pretty simple if you have the time – a minimum of 48 hours. 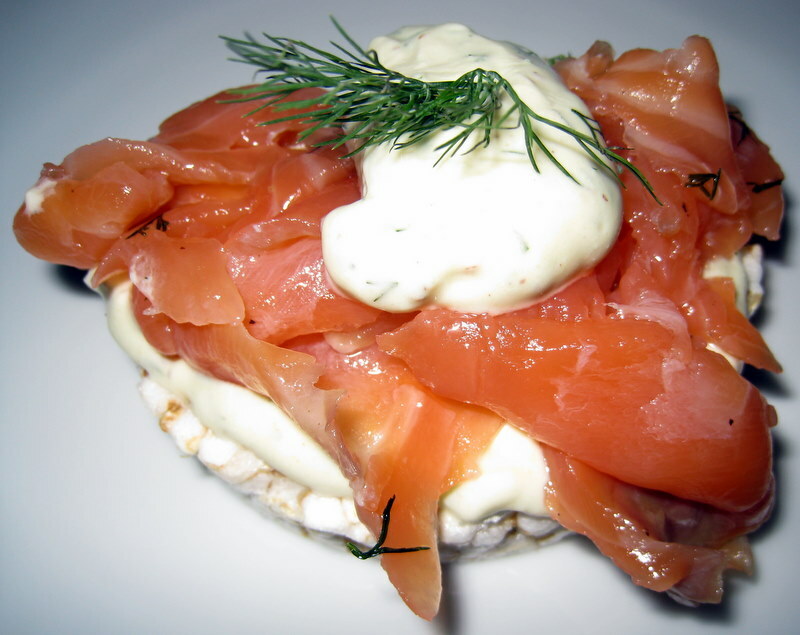 After your first batch you’ll never purchase store lox again. The following recipe is for 2lbs of salmon. Mix dry ingredients well in a large bowl. Evenly cover each salmon fillet with mixture on all sides. You may have mixture left over, store it in a plastic bag for next time. Place 1/2 of one bunch of dill on the bottom of the dish, and cover with one salmon fillet, flesh side up. Evenly distribute one bunch of dill in the middle and cover with the second salmon fillet, flesh side down. You’ve just made a salmon dill sandwich. Put the remaining dill on top. Loosely cover the dish with plastic wrap and let marinate at room temperature on a kitchen counter, allowing the mixture to melt into salmon. No more than 6 hours. Place a plate or pan on top of the plastic wrap, weight the plate with cans, rocks, or other kitchen items that equals about 2 pounds. Refrigerate the weighted gravlax for at least 48 hours or up to 4 days. Every 12 hours, take off weights and flip the salmon sandwich over, brining liquid from the fish and salt and sugar mixture will accumulate in dish, recover and weight, and place in refrigerator. After curing is complete, finely slice with a fish knife to desired thinness or thickness. *Be conscientious about the health of the fish you use – only use fresh reliable salmon! Combine all ingredients in a mixing bowl. Adjust to taste. If it’s too spicy add more yogurt, or vice versa.